Test engineers face many challenges today. Implementing a functional test plan involves integration of several different measurement and interface tools, software packages and licenses. Acroname's MTM instrumentation takes the frustration out of this process as one of the simplest and easiest instrumentation tools available. The simplest way to get started with MTM is to try out an evaluation kit. Acroname's engineers also do a video walk-through in real-time, performing a bring up of the MTM Evaluation Kit in less than 10 minutes. This includes: making a BrainStem host connection to MTM modules, updating MTM module firmware and using BrainStem APIs and StemTool to perform some simple test and measurement operations using MTM modules. 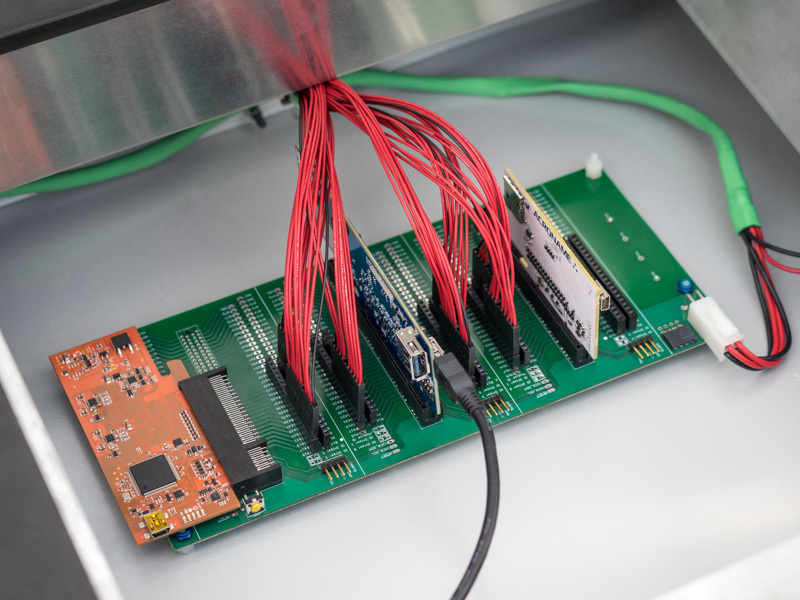 For new designs, mounting the MTM connectors directly to the testpoint carrier board (TPCB) is typically the best solution. This eliminates the headache of traditional wire-wrapped fixtures while leveraging all test precision and reliability advantages of MTM. 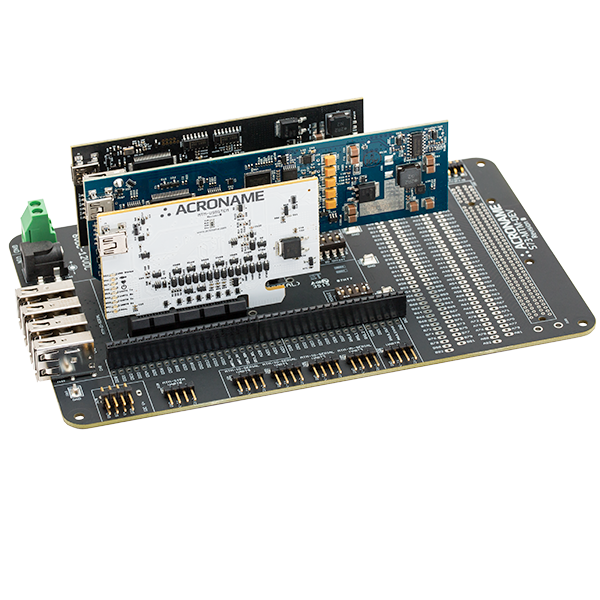 Alternatively, a simple breakout board can be used to integrate MTM hardware with existing test systems, providing nearly all of the same benefits. Simply mount the MTM modules in the breakout board (a development board will work) and connect the existing signal wires. Replicating reliable testers is no longer a challenge. 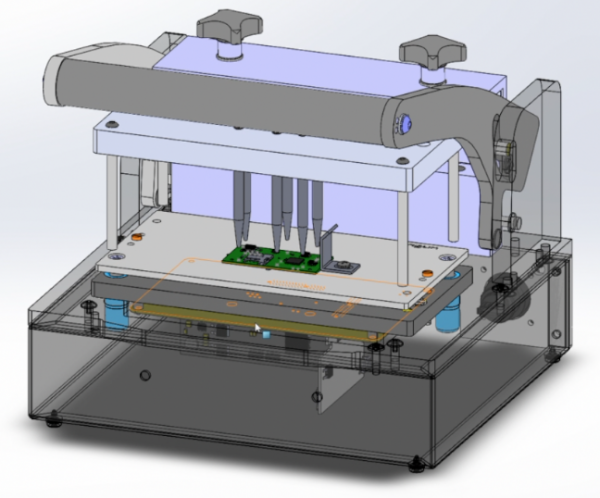 Integrate MTM into your fixture with a custom Test-Point Carrier Board (TPCB). 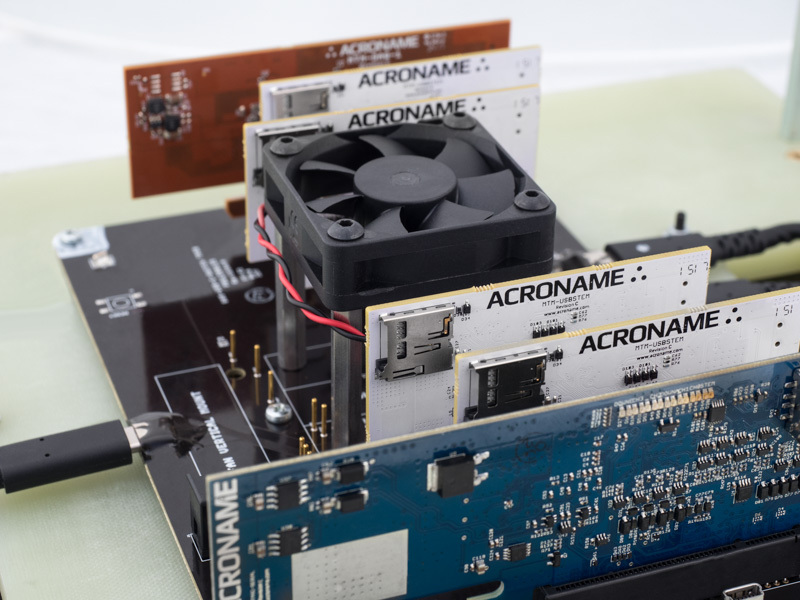 Scaling your production testers is as easy as ordering more TPCBs. Rapidly prototype and deploy an MTM-based tester using traditional wire and cabling methods. Prefer wire-based testers? No problem. Breakout boards like MTM-DEV-2 make it easy to build wire-based testers. Wire test probes to MTM modules using headers, cables or screw terminals.